This is the next posting from prior Tips postings. Same idea, just a new set of space to put pointers to things of interest. The most immediately preceding Tips posting is: https://chiefio.wordpress.com/2018/06/06/tips-notices-june-2018/. An encouraging sign on the employment front. People who had dropped out of actively seeking work are now coming back into the labor force and unemployment is remaining near historic lows. It is hard to find a better indicator of general improvement in the economy and people’s view of employment prospects. Government loses 3-d printed gun suit. It’s like the USA is coming back! “Under terms of the settlement, the government has agreed to waive its prior restraint against the plaintiffs, allowing them to freely publish the 3-D files and other information at issue. The government has also agreed to pay a significant portion of the plaintiffs’ attorney’s fees, and to return $10,000 in State Department registration dues paid by Defense Distributed as a result of the prior restraint. 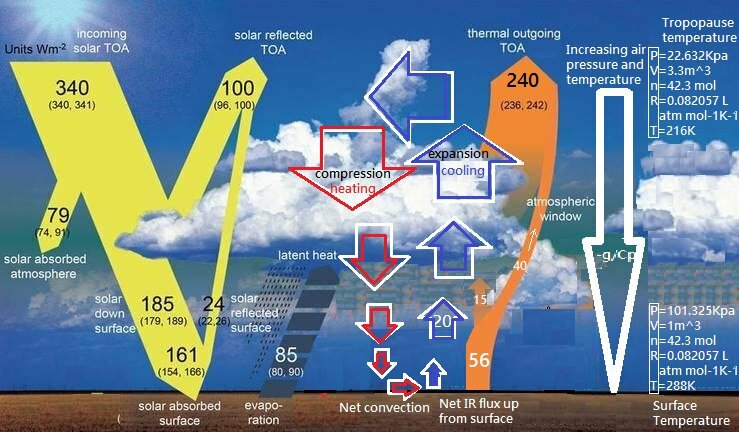 IMO this shows a better representation of what really goes on with our atmosphere/climate. As E M is aware it is based on the Paper of Ned Nikolov et al and is gaining quite a bit of support. @Larry – My company decided to outsource my function (Network engineer) on February 1, with a termination of June 30. I was in the middle of several issues, so did not start looking until March. Within 6 weeks I had 2 offers and 2 other hot prospects. I accepted one of the offers. That is the fastest I have ever gotten a job, and that career spans 40 years. It is an excellent job market. @philjourdan – full agreement. My prior job at IBM Watson Health let me (and a bunch of other developers) know I was being let go in 90 days back in June the day before a 2-week vacation at the beach. I had multiple interviews (Zoom, Slack for video conferencing) and 2 offers before I came back. Finished up other in-person interviews 1st day back before accepting a role at the IBM Digital Business Group. Lost my severance package that way, but already had maxed health out-of-pocket on my wife, so it was a wash. Subtle point but as I read that, they did not “lose the law suit”, they decided not to contest it and sought a settlement (ie no firm legal precedent set ) – that implies that they were afraid they could not defend the suit and the judgement might have been worse than the settlement – Or the current administration instructed them to drop it and cut their losses. Although this item does set the ground for a presumption of multi use for all firearms smaller than.50 caliber. LL – good point. But still, overall, a good thing. I hope Ginsburg finally decides to turn in her robe and go play with the great-great(-great?) grand kids. Having a SC respectful of the Constitution will be such a breath of fresh air. I’ve heard about China’s over building, the video linked here gives you a whole new perspective. I, for one, think our overlords may be overblown. Interesting read… but really… How to survive “The Event”? Have a few acres in a not all that impressive place with a trailer on it. Have a few guns. Get to know the neighbors well. Be nice. As to “best place”? Easy. From Texas to Florida does well when cold hits. The warmth collected in the Gulf backs up (not being delivered to Europe) and the place is warm, wet, and productive. Besides, you can own guns here. It’s OK…. The answer is “Empires fall”; and that does not please them. Good friend of mine worked for a small local pharmacy as a pharmacy tech. The owner sold it to a man who made it a franchise of a small national chain. After two months he fired all of the original staff. My friend had worked there over 20 years. She said within 2 days she had 3 job offers. The interesting thing? She hadn’t done any searching for a new job. Question for the gear heads: How/where can I buy a good quality rebuilt manual transmission? EMS: Yes, our overlords view their money as the proverbial hammer, and every problem is a nail. We saw that approach in the last election, well every election, and this time it failed miserably. You don’t have to be an expert in the occult arts for that; an elementary grasp of Linux in general and how PKGBUILD works should be enough for basic contributions. Help and training will be provided, free of charge! In PM? In the afternoon? The description says Artix is an SystemD free Arch Linux. Good! Not only is Arch a nice and security oriented distribution (that’s reasonably light and fast) but with more folks going SystemD free there will be stronger pressure for basic packages (like windows managers and browsers and such) to retain their non-SystemD code base and compatibility even as they modify to also work on SystemD based systems. Essentially it reduces the motivation to be locked in to SystemD ways of doing things. I’d volunteer to help but for 2 things. 1) I’m already over committed to too many things. None of them paying… I can’t take on more “free” things. 2) I’m going to need some time to recover from a marathon coast to coast (twice) run. By the time I’m going to be ready to do much they will be done with the packing party. I may need a Ford F-150 one and a Honda one in the near future. I had no idea it was a bad idea. So, at any rate, that’s the situation. That is very local, best to ask around local mechanics, they will tell you the shops to stay away from (which is actually more important than the shops to go to). Go to a car show or drag strip and chat up the folks who drive similar model cars, they can likely point you to a good shop. Some chain shops like AMCO are good some are horrible (all depends on the management and who they hire and how they do business). Also check with fleet operators like car leasing or company fleet managers. There are some big national on line companies that do thousands of generic rebuilds, you would have to check out the online recommendations on those shops, and how they handle warranty repairs, but if you just want a generic rebuild some of they do a satisfactory job. I’d start with a local search on line using the key words “transmission, rebuild, problem, disaster, nightmare” those threads will tell you who to avoid and inevitably someone pops up and mentions Eddy’s rebuild shop and how they are the best thing since sliced bread. Thanks, LL. The only local info was from a high-quality shop here that said it’s hard to find a “clean” rebuild around here. But that’s just one opinion. If you care to share where “here” is, I can ask my mechanic. Seems mechanics tend to know the tool and parts guys who distribute nation wide, so can ask the collective who’s a good shop for one of their customers when out on the road… So just asking a very good trusted local mechanic “does he know of anyone good in FOO area?” and can he get back to you after asking around tends to work… At least with my mechanic. EM – South-Central is about as close as I would like to go there. I’m thinking shipping could be a deal killer if too far. I do know some guys who race, so I’ll start there, I think. Finally, it won’t be too long now that the ‘rest of us’ don’t have to subsidize the ecoloon’s Teslas. What a waste of my money that has been! This video captures the lava explosion that injured tourists. Lava is dumping into the sea. At about 30 seconds, you can see lightning in the plume. Hmmm this is interesting – what if the “Russia did it” chant is a misdirection to hide the evidence that “China did it”? Keep in mind the Clinton’s has a Chinese scandal when Bill was in the White House. Raises the question which team are these guys batting for? Russia, China, all of the above? If your in the market for stuff, check out prime days on Amazon. Just bagged a Sandisk 64 gig class 10 A1 micro Sd for $13.99. Saw some good SSD deals also. Just didn’t need them, albeit shopping with a beer in hand can be a bit dangerous! Afraid I can’t agree, PG. beth you miss the point. To understand your enemy you must see the world through his eyes. In the end Grand Scheme dreamers always fail on human nature. Soros pushes his agenda through other people, people that use his money and credibility to carry out their own agendas. Such hubris is always doomed to fail. Soros financial success by using his study of human nature in finance created great human disasters and misery that he rails against. Long ago I discovered that I would be the follower of no man, but chart my own course. Followers point to one or another figures of authority as the basis or justification for their own opinions. Most people are followers, or fans, it is their nature to mindlessly align with their leaders. Some people are leaders because they crave being in the front of their mob of followers. A very few are the pioneers that prefer to go it alone without leaders or followers. It is their nature. After a long life of the pursuit of wealth and power, George Soros is seeing the failure of his dream. Seeing the misery that is the fruit of his endeavors. Like Adolf Hitler, George Soros is a big knot in the tapestry of history. Many threads have become tangled in this knot and then we move on. As that knot fades into the distant past. Have we learned anything. The Founding Fathers of the United States wrote and adopted a Constitution, A Contract of governance, that they hoped would limit the excesses that result from political actions. The minority would be protected from Mob Rule of followers of political Leaders. Every part of that Contract is a study of “Checks and Balance” A way to prevent Democratic rule of the mob. A way to limit the ability of log rolling politicians to spook the mob into foolish actions. For the last 200 years politicians have been chipping away at the provisions of that contract that they finding limiting to the achievement of their wonderful dreams. What do you all think about this: https://spectator.org/everyone-is-smart-except-trump/ . Nice find, cdquarles. I voted for President Trump so he could do what he promised. He’s been going down the list and checking them off. Promises kept. @CD – I am surprised (just a bit). AS was not a Trump fan during the election. They seem to have re-evaluated their opposition. I voted for Candidate Trump to get his list done. I assumed he was competent with no need for me to tell him how to get it done. He does listen and and wants to hear from us via the Whitehouse.gov site. The monitoring staff no doubt has found a couple of nuggets there, but the main thing is feedback from his constituents. He does appreciate some attaboys. Hmmm very interesting happening in journalism – not sure this is good or bad yet but it offers hope. This may be the response to agenda driven media and if it upholds the outlined doctrine in the “Civil Constitution” may actually produce good journalistic work. Only time will tell on this. great man whose destiny is to remodel society according to his own blueprint. File this under cool tech – new record resolution achieved with an electron microscope. The Muller group was able to reach a resolution of 0.39 Å – a new world record – and at a lower, less damaging beam energy where resolution from the aberration corrected lenses alone was 0.98 Å.
Oh, ah, Cool! I’ve done electron microscopy, back in the ‘dark ages’. We’re talking less than atomic radii here, even for hydrogen. Crude oil and natural gas production hit a new record in June with the highest production ever in the U.S.
Production of crude topped 10.7 million barrels per day with production of natural gas hitting 4 million barrels per day, according to an analysis released by the American Petroleum Institute (API) Thursday. They did a big burst of production but do not have a dealer network to “stuff”, so every car must also have a prep & deliver process… that has not increased capacity. That’s my view of it. No great horrible disaster of failure, just part A running faster than part B after part A got juiced. So. Mueller has offered Tony Podesta immunity to testify against Paul Manafort. Because that doesn’t make this whole thing look like a partisan, biased witch hunt. It is done. With 53,100 euros collected in forty-two days, the PeerTube project originating in France blows through its initial goal. The principle is intriguing: a fully decentralized version of YouTube , whose computer code is freely accessible and editable, and where videos are shared between users without relying on a central system. Online since March 2018 in a beta version, the project should definitely take off by October, based on the money raised. @The newly reveled Boyne Valley henge seems to be the same foot print as the New Grange mound, which is Not a Tomb. It is a stylized “Rite of Passage” cavern. Most of the truly ancient religions required a pubescent to be “born again” from a cavern as a part of their ritual movement from child to adulthood. To them humanity was born or originated from a cave. If you are bored it is really a treat to examine the New Grange web site. The pictures and “Blue Print” and drawings are well done…pg. 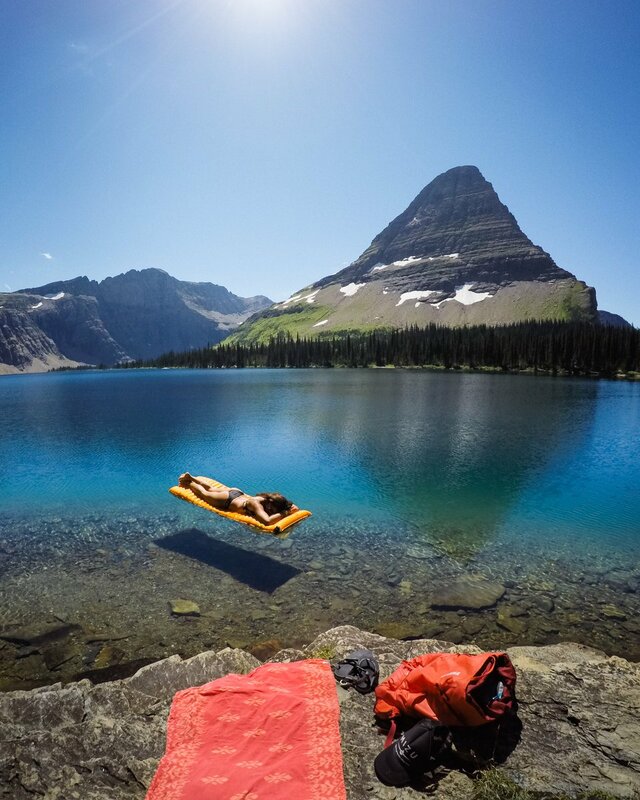 pg – relative to your ideas on gravity, I recently found out about Fred Alzofon’s ideas. More information at http://revolution-green.com/alzofon-gravely-go/ with a few more links to follow. Though some of this sounds too crazy, it may just be crazy enough to be true (see Dirac about QM). I’ll be starting experiments on this in a few months, so maybe we’ll get some data in a year or so. It may link your ideas on Aether with the standard ideas from quantum mechanics, though you’ll find bits you disagree with. Interesting points though are that there were a couple of experiments done, and they worked to a certain extent, and that producing a back-shed replication doesn’t look too difficult or expensive, despite the estimates of $250k for the basic kit. See what you think. Incidentally, most of the stuff Fred Alzofon did worked and was accepted happily as being right, except for this one with the UFO connection and the heresy of saying that General Relativity theory was a bit wrong. So, did Alzonfon suggest an experiment that would show general relativity is wrong? If he has a fundamental understanding of the Universe that the rest of us don’t get, he should be able to do that. Yes, thanks! I’ve not had time to look into the results of the drying, but it ought to keep folks busy for a while with the new discoveries. I’m always fond of orthogonal points of view on “established science”. Some of them are just crazy talk, but still make you think of where they went off the rails. Others are perfectly rational, and show where a choice was made (and often a choice without any real reason). Then some seem to fit all the known facts even better and you are left wondering why that was left on the cutting room floor. What we do, absolutely, know is that we have two theories that can not both be right, and both are accepted. QM and Relativity. Something’s got to give. Something else must be true and unknown to us, and what we do know in the two theories must be wrong somewhere. So for that reason alone we ought not be tossing away any other POV or explanation that offers a possible. @Simon; read the post and comments you linked too. While the terminology and explanations are a bit different from the ones I use, the word pictures seem to arise from the same things. I Started working on this in 1988 and have stumbled on many of the same information. The layered skin material seems to be critical for success. But this is the first time I have heard of the use of Iron. Actual UFO skin material that was tested was layered Magnesium and Bismuth. IIRC 11layers of Bismuth between 12 layers of Magnesium. Magnesium is somewhat diamagnetic and Bismuth is highly diamagnetic . The object is to reflect magnetic fields. The proposed RF and Magnetic fields effects, sound about right to me in their effects on mass/inertia and gravity. There was a Canadian, Hutchinson? That was doing tinkering with a small Tesla coil and some old microwave equipment in his steel building shop, Building was full of steel racks of old stuff. From time to time things would jump off the shelf and fly around. He also started several fires as well. All of the work that Tesla did was in his pursuit of an Electric Drive that he felt was possible. The energy within a standing wave of complex RF energy was the object. This problem of finance of the primary R&D is a real problem that needs to be solved, I would suggest a “GO-Fund-Me” type of vehicle for this. We really don’t want an Angel involved that could be a GEB! Communication and security during the effort as the real knowledge is accumulated is a part of why I have been nudging our host in his computer system development. Didn’t know there was that much going on with anti-gravity. It is currently “politically incorrect” to discuss antigravity research. Period. Good – now we know. And, we do not know exactly why that is so. And, we can formulate some good ideas as to why that is so. A simplistic summary might say that any successful antigravity research within the USA would very quickly come under the control and direction of the US military, and would then become classified. Historically, there were several papers and magazine articles written about a possible link between antigravity and electromagnitism up until around 1956. Then, all publications stopped. Period. The end. Nada. Zilch! Why? Well, maybe it all became classified at that time. That would make sense given the political and paranoid climate of the US government at that time. The report by GRG [Gravity Research Group, Feb. 1956] is the last official report regarding that research during that time that has been found. So, what about now? What has changed? Nothing, it appears. However, there is some government funding that has only recently become available for some antigravity research using near superconducting rotating disks. AND there is no organized effort by the US government to research all the other areas of antigravity research that we will summarize in this paper. If there’s any particular computer bit you need, let me know and I’ll push on it. I’ve already gotten the basic computer, OS, and environment pretty much laid out. Encryption is built in to Linux so I’ve not particularly illustrated it (lots of pages already exist), but if you want a more detailed “How To” I can do that. I’ve covered some heretical subjects here, but this one is crazier than most. In the tradition of asking why things happen, gravity remains difficult to explain. gravity is not a thing. It is a result. Physicist: Quantum Mechanics (QM) and relativity are both 100% accurate, so far as we have been able to measure (and our measurements are really, really good). The incompatibility shows up when both QM effects and relativistic effects are large enough to be detected and then disagree. This condition is strictly theoretical today, but in the next few years our observations of Sagittarius A*, and at CERN should bring the problems between QM and relativity into sharp focus. Jim2 – I’ve just done a first read of the 1981 and 1993 papers, and though I can’t follow the maths (I’m pretty symbol-blind, which means I need to write text under each symbol used – problem with GUIs on computers, too), his somewhat-large matrix of field theory reduces to Special Relativity, Dirac’s equations, Maxwell’s equations, Schrödinger’s equation, and of course Newton’s laws of gravity and inertia. A few others, too, such as why quantum mechanics works. Needs a good theoretical physicist to really understand it all. Note also that there is experimental evidence that General Relativity is a little wrong, too – it would give the wrong positions for GPS satellites, so the time corrections actually use something like an Aether theory anyway, because it gives the right answers. Look up Ron Hatch, who has a lot of patents in GPS. EM – glad it piqued your interest. Pure chance I picked up on it, since the general run of UFO drive ideas seem to have been pretty-well proven to not work. Also very hard to decide which stories are actually true, if any. That doublethink needed for QM and GR both being true always bothered me, too. This gets around that, although the idea of curvature of space is still useful as a way of visualising things (and is also measurable). The basic how-to is in David’s book, and most of it in in the article I wrote, too. The theory that gives rise to that practical idea is however far more far-reaching. I note in passing that the field is treated as reaching to infinity (standard QM assumption, too) but that it seems likely that it actually ends at the Hubble radius, which seems to me to introduce some quantisation into inertia and thus brings in Mike McCulloch’s theory, too. Needs someone better to work out the maths for that, though. The Higgs Field and what Fred Alzofon is using seem to be very close, too. What Fred produced was a Unified Field Theory, and the gravity-control dropped out of that as a side-effect. pg – the bottom line is that gravity is effectively an effect of the electrical field, and that the Aether is identified with the clouds of virtual particles that quantum mechanics suggests are there, but instead of being virtual they really are there for a short time. In order to remove gravity (and inertia) you simply need to remove the energy from that field, and then the virtual particle cloud is eliminated for a short distance and thus has no effect on the material that’s done the “cooling”. Using a shell of that material (pure Aluminium spiked with a few percent of micron-sized Iron particles) thus separates the universe into the one outside the shell and the one inside, as regards inertia and gravity. I think there will also be a third universe that is the metal of the shell itself between its surfaces. Look up electron paramagetic resonance and dynamic nuclear orientation to get the techniques, but it’s basically using a crossed magnetic field and microwave source to orient the nuclei by using the electrons as a lever. The original 1994 experiments used about 0.125W of 9.5GHz or so and a pretty strong magnet and a sample mass of around a gram. Some problems in recording, but Fred said he measured an 80% drop in weight, but the measurement problems happened after 2 pulses so the recorded loss of weight was only around 0.1% in about 25ms. Also possible to do at 3GHz or so. I’ve already got most of the stuff needed for an experiment to test it. Drones now use 5.8GHz or so and a 600mW transmitter costs of the order of $10. Needed for the CoM work, which is why I’ve got a couple, but I don’t know yet if I can chop the output at 6ms on, 6ms off. Otherwise, the HackRFone will do the job, I think. Lots of theory and techniques to learn, but the basic idea is pretty simple and in practice it doesn’t look difficult either once the kit is calibrated and set right. More reading to do, and the CoM work to finish, so don’t expect results that quickly. Simon, GR had to be taken into account in order to get the GPS system working. Jim2 – look up Ron Hatch, who has very many patents in GPS timing. I thought the same as you until I read that. Also consider that between two inertial frames in relative motion, you could see normal light raised to ionising radiation, and wouldn’t see the effects expected. Odd paradoxes remain if you insist on all frames being relative without a universal rest frame. At the moment, we can’t measure the time differences that happen between two relativistic-speed objects/frames moving in opposite directions, so there’s no solid experimental evidence as to what is really true, just theories that seem to be good so far. At the centre of the Earth, logically space won’t be curved since there’s no net gravitational force from the Earth (OK, some from the other celestial bodies), so time should run faster by about one part in a billion. I suspect it runs slower than at the surface since the mass-probability-density is higher. We may also see anomalies in the opposite direction predicted by GR at the Lagrange points where there’s no net gravity. It’s complex…. Where a few decades ago GHz was rare, exotic even, and highly expensive; it is now common, cheap, and available. If you’re a regular visitor of radio fleemarkets, you’ve surely noticed the growing number of second hand lnb’s being offered. One of them is called Bluecap. Seeing the picture below, its name is no surprise. Ten years ago they were sold with nearly every satellite dish, especially in the UK. Nowadays you can buy them for the price of a glass of beer. In the area where I live, they’re used as transmitters for atv, 76K8 packet radio en wideband hi-fi audio. The Bluecap lnb was designed to receive satellite televisions, downconverting signals between 11 and 12 GHz. The lnb has a local oscillator, a dro on 10 GHz. Input signals are converted to the range 1 to 2 GHz where a standard satellite tuner can handle them. The lnb has two separate input stages, one for horizontal and one for vertical polarization, T1H and T1V in the diagram. By selecting the right input stage you can choose the desired polarization. T2 and T3 further amplify the signal. After a 11-12 GHz bandpass there’s a notch to prevent local oscillator radiation leaving the lnb. Then there’s the mixer, after which the resulting signal is amplified in the if-amplifier, needed to compensate the coaxial loss between lnb and satellite tuner. Click here for the functional diagrams in PDF. It’s not difficult to convert this lnb into a 10 GHz atv transmitter. Usually amateurs use horizontal polarization in the 10 GHz band. Therefore the vertical part is not used. Transistor T1V is spare. The amplifier stages are rotated 180 degrees. T3 is swapped with T1H. Bandpass and notch are shortened, the mixer is replaced by a condensator. Where the if-amplifier used to be, a new simple modulator is built. Via this new modulator both supply voltage and baseband signal are applied. So only one cable is needed. EM – the frequency may not be critical, since it really affects the magnetic field needed to get the resonance and the flip. The papers say 3GHz can be used with 660 Oe field, but the actual experiment ran at around 9.5GHz. The 3GHz figure also seems to have been measured as coming from a UFO by a US military plane, and it was also chopped as Alzofon predicted needed to be done. Still hard to know what’s true, but maybe that one was real – whether alien or human is debatable. I’d put the words for EPR in the response to pg, but didn’t capitalise them. pg – the Iron particles are to both increase the depth for the skin effect and to use the Iron response to better affect the Aluminium. Normally, EPR is done around liquid Helium temperatures, but the addition of the Iron particles allows it to occur at room temperature. Also predicted by Alzofon, and confirmed by experiment. It’s a clever sneaky to get the effect without the cryogenics. OK, I’m going to need a brain reset on some basic ideas in order to get this to click for me. I’m back at the suspicion that this is all related to some smaller particle (that I suspect is a photon) that when it is of low linear momentum and high angular momentum becomes particles with mass. (Thus gravity). Then things like the EM field of the photon can manifest as a charge on the electron OR as a “flow” inside the electron. EM – I’d thought that originally, too. It probably will act faster with the higher frequencies and thus higher magnetic field, but needs more power to do that, so it’s back to choosing the best compromise. The lower the frequency, the bigger the waveguide needs to be, but the higher the frequency the more accurate you need the waveguide to be as well, but it gets more compact. Since I’ve settled on a frequency of 5725MHz for the CoM work, and I’ll have all the bits for that frequency, I’ll probably use that, but the HackRFone goes from around 1MHz to 6GHz, and I’ve got amplifiers up to 2W for that. The central part of the effect is about transferring order. Ordered things are cool. So the idea is to order the atoms on the Aluminium and allow the random external field to disorder it, so the disorder is shared between the field and the Aluminium atoms. Before the Aluminium atoms are all disordered, order them again using the EPR and flipping the nuclei to all in the same direction, and then allow them to get disordered by the field again. Rinse and repeat until the “gravity field” is depleted. Relaxation time for Al is around 6ms at room temperature, but Iron decays a lot faster. Have you ever wondered why in things like EPR and NMR (nuclear magnetic resonance) the atoms lose their alignment? I hadn’t until now, but it makes sense that they are being disordered by something, since otherwise once they were all pointing the same direction they’d stay that way unless something kicked them. So far, the explanations seem to hang together and make sense, so it’s worth doing the experiments. If someone else gets there first, that’s also fine – the information has been public since 1981 and the patent has lapsed. Then again, there will likely be a whole raft of subsidiary patents to be filed. If it really works…. EM – incidentally I should point out that the back story here looks very similar to the back story of many scams in the Free Energy history. The mad inventor proves the thing works, but the equipment was dismantled and the sample lost. The inventor also had a dream of Free Energy, and put together a complex theory that’s hard to understand which explains how. The inventor required an NDA before telling anyone any details. When he died, a lot of papers were lost and destroyed. His son has been trying to get people interested in replicating for years. Yep, all that happened. However, Fred worked for Boeing and NACA (early NASA), and his inventions worked. He appears also to have been Aspy, and spent his evenings and weekends mostly working – not great for his wife and kids. The theory ties in with other stuff, too, but I suspect it needs a team of really good theorists to actually understand it more than the superficial way I get it. I suspect it ties in with Mike McCulloch’s QI and explains why that Hubble radius is important in the measured departures from Newton’s laws in the outskirts of galaxies (which also seems to scale with the current size of the universe). Maybe crazy enough to be true, and gravity control may just be the start of the results. An interesting technique for controlling dendrite growth in Lithium batteries. I have a fondness for the Edison Cell, but it is physically a challenge to make. The problem is that the metal must be in very small bits and then crammed together for electrical conduction, or you get a cell with dismal capacity. (Need a lot of surface are and not much thickness). I’d pondered plating Ni / Iron onto a carbon fiber mesh and then rolling it up as electrodes. ( I still think that would work…). But this also has potential. They make a silicone sponge by curing silicone in a bed of sugar, then wash out the sugar. Plate with electroless copper, then proceed to the lithium layer. I suspect something very similar could be done with Ni / Fe. Jiang and his team solved the dendrite problem using a mechanical engineering approach rather than the electrochemical methods more common in battery research. Many electrochemical and microstructural phenomena are driven or accelerated by stress such as stress corrosion cracking (SCC) and the growth of tin whiskers on compressed solder films as a stress relief mechanism. The development of residual stresses in plating films and coatings is ubiquitous. The researchers designed experiments to study lithium plating on a thin copper (Cu) current collector supported by soft silicone substrates. Rigid, porous carbon substrates are commonly used in many lithium batteries. In later experiments, Jiang’s group also devised a way to utilize the phenomenon to extend the life of lithium-metal batteries while maintaining their high energy density. A porous silicone sponge was fabricated by infiltrating liquid silicone (PDMS) resin into a bed of sugar. After curing the silicone, the sugar was washed out with water to form a silicone foam substrate. A thin electroless copper layer was deposited on the silicone foam to provide a conductive anode. The sponge-like copper-coated silicone anode relieved stress to inhibit dendrite growth while providing a high surface area to enhance electrochemical battery processes. One would expect that stresses might develop in the plated lithium layer at larger thicknesses even with a flexible substrate. However, the pores in the porous silicone anode eventually fill in, limiting the ultimate thickness deposited and physically preventing peaks from forming. Seems to me like an easy DIY way to get lots of electrical contact with the Ni / Fe plates, minimal depth to the metal, and maximal surface area. Anyway, the making of the silicone sponge caught my eye as an ideal low volume kitchen science scale technique. As sugar can be had in many different granularities, you can also control the sponge granularity. Jim2 – look up Ron Hatch, who has very many patents in GPS timing. What experiment or experiments does RH suggest that prove his hypothesis or hypotheses? Just about any idiot can come up with a hypothesis concerning the universe. But when Einstein came up with his hypotheses, he also suggested 2 or 3 experiments that could disprove it. Instead, the experiments disproved Newton’s theory of gravitation and supported R.
So, Ron needs to come forward with his experiments to try. Jim2 – RH put the GPS system together, and has run it. He states that calculations from GR came out wrong, so he had to work out what the actual time delays were. The experimental evidence is thus actually the GPS system itself. He has a lot of patents about GPS. All theories are only the best we know so far…. Thanks for the ESR setup. Makes it easier to get the things built, since the block diagram I had included a lock-in amp which may not be necessary. • Iron coatings were directly electroless deposited on pure magnesium. • Acid pickling were processed in nitric acid instead of hydrofluoric acid or chromic acid. • Plating process was free from the complicated zinc immersion procedure or surface activation step. • The surface morphology of the iron coatings differed with reducing agents. Electroless nickel plating is usually adopted to protect magnesium and its alloys from corrosion and abrasion. While in biomedical application, electroless nickel platting is not a good choice in consideration of the toxicity of nickel ion. In the present study, biocompatible and biodegradable iron coatings were directly electroless plated on pure magnesium in the alkaline plating solutions containing three different reducing agents: KBH4, NH2–NH2 and NaH2PO2. The electroless plated coatings consisting of crystalline α-Fe are tightly bonded to magnesium substrates. The surface morphology of the iron coatings differed with the reducing agents. When using KBH4, NH2–NH2 and NaH2PO2 as reducing agents, the plating rates were 5.2 μm/h, 1.1 μm/h and 1.1 μm/h, respectively. All coated sample showed more noble potential than the magnesium substrate. The active material of the battery plates is contained in a number of filled tubes or pockets, securely mounted in a supporting and conducting frame or grid. The support is in good electrical contact with the tubes. The grid is a light skeleton frame, stamped from thin sheet steel, with reinforcing width at the top. The grids, as well as all other internal metal surfaces, are nickel-plated to prevent corrosion. The elements must remain covered with electrolyte; if they dry out, the negative plates oxidize and require a very long charge. The active material of the positive plates is a form of nickel hydrate. The tube retainers are made of thin steel ribbon, finely perforated and nickel-plated, about 4 in. long and 1/4 in. and 1/8in. in diameter. The ribbon is spirally wound, with lapped seams, and the tubes reinforced at about 1/2 in. intervals with small steel rings. Into these tubes nickel hydrate and pure flake nickel are loaded in thin, alternating layers (about 350 layers of each to a tube) and are tightly packed or rammed. The purpose of the flake nickel is to make good contact between the nickel hydrate and the tubes, and thereby provide conductivity. The tubes, when filled and closed, are then mounted vertically into the grids. The positive plate is filled with nickel hydrate. The active material of the negative plates is iron oxide. The retainer pockets are made of thin, finely perforated nickel-plated steel, of rectangular shape, 1/2 in. wide, 3 in long and 1/8 in. maximum thickness. The iron oxide, in finely powdered form is tightly rammed into these pockets, after which they are mounted into the grids. After mounting they are pressed, forcing them into close contact with the grids. This corrugates the sides of the pockets to provide a spring contact of the pocket with the active material. Jim2 – I don’t expect RH will be right on all his theories. As I said, the curvature of space is a measurable quantity. When it comes to the GPS time, though, he has to be right. As it happens, the tuks site is run by Arend, and I had a series of emails with him where he was trying to persuade me about the Aether theory. However, it contains paradox too, so is obviously not quite right – you can’t explain momentum by using fluid dynamics in the Aether, since that only moves the explanation from “don’t know” to “the Aether causes it because it has inertia”. Still, no matter how we avoid the Aether theory, it keeps coming back in some form, such as spacetime or the Higgs field. Fred Alzofon’s version uses the cloud of virtual particles instead, and may be a better model. It may still not be the truth, but a step closer. One thing I’ve not sorted out yet is how all these fundamental particles do all that really difficult maths in order to work out where they should be. That seems to imply that what we’re seeing is an emergent complexity that has some very simple interactions at the basis. Same way as a computer AI can appear really complex, yet at its base deals with 0 or 1, shift right, shift left. What’s the basis for the rules we’ve worked out? Some of the most basic rules (2LoT, CoM, CoE) have loopholes where they don’t actually apply, providing you use specific circumstances that aren’t seen in nature. I’m working on getting the physical proofs of the logic. If I’m right on this, then the foundations have shifted. Gravity control would be nice, especially since someone else has done most of the hard lifting. If something isn’t seen in nature, it doesn’t exist. Of course, I believe everything is part of nature, even particle colliders, breast implants, and Scotsguard. Simon, the Aether is in chaos. just as in EMF it is the signal that travels through the Aether The aether is charge in chaos. Remember the basis of electron theory. Every electron feels the condition of every other electron. charge is -Negative, +Positive is lack of charge. +/- is neutral. In view of the properties of the extreme conditions of motion, indicating a duality in the nature of the UFT field, we propose that matter be denoted as “condensed radiation” and radiation be denoted as “dispersed matter”. Consider first a single mass particle-field of mass m. When a second particle-field is brought into the neighborhood of the first, the inertial mass of the first field increases to m+Δm (we assume that Δm/m is very small compared with unity) so that, by le Chatelier’s principle, the new equilibrium diameter of the field becomes essentially h/(m+Δm)c, or approximately (h/mc)(1-Δm/m) and mass energy (including that from the second particle-field) will tend to flow toward the center of the first particle-field. Assuming that each particle-field retains its identity, there will be generated a force tending to move the second particle towards the first. Seems to me that the assertion that mass m increases by delta-m is unsupported. When particles become bound in atoms, mass reduces and goes into binding energy. Is there some case where masses getting closer causes them to increase in mass as they don’t bind? EM – I was also not happy with the application of Le Châtelier’s principle there, so I propose an alternative reason at http://revolution-green.com/alzofon-gravely-go/#comment-3989448507 that feels better to me. According to QM, a particle is not simply a point, but is somewhat fuzzy and the wave-function denoting the probability of the particle being at any particular point is large in the middle and then drops down low, but the probability never actually reaches zero. Alzofon looks at this as the wave (that is the particle) not reaching zero no matter how far away you get from the central point, and that this diffuse wave is actually “real” mass rather than a probability of the particle being there. We thus have a picture of the particle as a concentration of the mass at the central point with a more diffuse mass the further away you get. All of space thus contains a certain concentration of mass from all the particles in the universe. QM tells us that the extent of the particle probability is infinite, and Alzofon assumes that this is valid too for the real mass density from that particle, but I suspect that there is actually a limit at the Hubble radius at which this probability or mass-density goes to zero – the Hubble radius is a horizon where there is a node in all the waves that superpose to make the particle that we see. This would also give rise to quantised inertia, since the nodes are effectively fixed and the longest wavelength will be the Hubble diameter times 2, the next up will be the Hubble diameter, 3rd harmonic 2/3 the Hubble diameter, and so on. Maybe something like a guitar-string, with the ends fixed at the Hubble radius (which is expanding, and thus we’ll need to think about what that implies). If we have more mass and the same forces involved, then things will move more slowly and resonate at a lower frequency, so time slows. This is a little bit of a circular argument since it assumes inertia, but at least it can be visualised. However, if the mass density slows time, then the volume of overlap between two particles will have a higher density and thus time runs slower in the overlap. Since energy depends on time rate, then the overlap will have a lower potential energy and will move to make the potential energy smaller (even more overlap of the mass fields). Thus we’ll see an attractive force. Jim2 – What I meant was that we need to engineer the circumstances rather than simply look around. As such, a standard solar panel doesn’t naturally occur, but we can make it. A solar panel reduces disorder, since it takes in photons from any direction and produces electricity in a single direction. A nantenna array can be built (and has been built at MIT and others) that is tuned to room-temperature IR of around 10 microns wavelength. Logically, when it delivers power to an external load it must cool down (conservation of energy), but then we have something whose only function is that it cools down and delivers power to something else, which violates 2LoT. The actual power delivered is minute at the moment, but I’m pointing out that it is nevertheless a violation, and when we have a small effect we should be able to engineer it to be larger and to produce a useful amount of power – but only providing we don’t choose to disbelieve the experimental evidence. I’ve found that most people ignore the small anomalies, as being not big enough to justify re-thinking the laws we’ve found to be perfectly good over 150 years or more. Similarly, there’s a small anomaly in Newton’s 3rd Law when it come to electromagnetic waves and current loops spaced 1/4 wave apart and driven with 1/4 phase difference, and this is in the textbooks – we know about it. The force is however extremely small, of the order of micronewtons for reasonable currents, frequencies and loop sizes (figures are 100mA, 5.725GHz, 2.9cm diameter, spacing 14mm in a waveguide, and 1.4 micronewtons per loop). Again, the question is whether we can magnify that force to be something useful rather than not-useful, and I think we can do that. If CoM can be broken, then it also follows that energy itself is not conserved in some circumstances. So far, though, only a handful of people seem to have followed the logic and think it’s possible. EM is one of those people, which encourages me to think I’m maybe not totally crazy. Incidentally, the effects of quantised inertia only start to get visible when we get into the region of an acceleration of 1E-10m/s² or less, so the quanta are extremely small and would normally appear to be continuous, and we only see the anomalies out in the far reaches of galaxies where gravity is almost zero. For normal life, we can’t resolve the steps in momentum and the approximation of a continuum is quite adequate. SD – your nantenna array will emit AND ABSORB IR. It’s not a unidirectional device. Jim2 – but if it outputs energy to an external load, that energy has to come from somewhere, so it will cool down. No other source available. The energy delivered is measurable, and has been detailed. Thus 2LoT is violated but at a low power level that isn’t very useful. SD – on every clear night, the ground “outputs energy” to space and cools down. So what? If the nantenna is pointed to an area with a deficit of 10 nm radiation, energy will be transferred from the hotter (the nantenna) to the area with the deficit. I’m not seeing a 2LoT violation in that. Jim2 – straw man. If the nantenna outputs energy, it has to come trom somewhere. In equilibrium, it must thus be cooler than the environment. Alternatively, if you start with it unconnected and allow it to achieve thermal equilibrium and then connect the load, it will cool down. No-one has measured this temperature drop, but it must be there. 2LoT is only violated in very specific circumstances, and most of the time it applies. Being almost always true is not the same as always true. Exactly. Science deals with conditional truths. Take equal and opposite reaction. That is, actually, a bit ambiguous. Real objects are never smooth. There will always be electrostatic type repulsion present. To the extent that gravity is a force, it compresses these static electromagnetic fields up to the point that the repulsion balances it. Sure enough, that’s equal and opposite, but not always equal and opposite under every conceivable condition, let alone those not conceivable by us, yet. Plus, those atoms and molecules are all always in motion in 3D space, as rotations, vibrations and translations at normal thermodynamic temperatures. A thing is that the thermodynamic temperature is a geometric mean of a sample of matter’s internal kinetic energy and only its kinetic energy. Energy can be transformed to matter, matter can be transformed to energy, and this can happen without a net change in the total kinetic energy. Sometimes our analogies fail us. It is a good thing, I think, to always be cognizant of that; particularly when they fail us when we least expect the failure. SD – perhaps related, here is a paper that claims the traditional treatment of radiation-based thermo is wrong. Our question is. Is Mass/Inertia internal to the fundamental particle, a Proton, or is it external? If it is internal, it can not be manipulated by us. If it is external, it can be manipulated by us. It seems to me that it is external because if it were internal our Universe could not exist. A single Proton could not bind it’s neighbors to create the complexities of our existence. Simon’s description of “According to QM, a particle is not simply a point, but is somewhat fuzzy and the wave-function denoting the probability of the particle being at any particular point is large in the middle and then drops down low, but the probability never actually reaches zero” is close to what I see. In the case of the Hydrogen Atom, If it’s proton were the size of a basket or soccer ball, it’s electron shell would be the size of the United States, 3,000miles. But under certain conditions that shell collapses to be near the surface of it’s Proton and we have a Neutron. The negative shell next to the positive proton shields it’s repulsion and allows it to get close to another proton and inside it’s electron shell. This demonstrates to me that effects are external to the proton and therefore manipulable. The Electron shell is a standing wave function that the Proton presents to the outside world and has several apparent sizes depending on it’s energy levels. Neutron, atomic, element, and plasma where we don’t perceive a shell. If we can sever, confuse, the connection to the outside world, the external effects of mass inertia would be reduced or eliminated. Can someone point to an experiment that confirms the nantenna result posited by SD? Lots of assertions here, but no evidence is offered. I’m fine with the mass to infinity (and beyond! ;-) or Hubble… but still seems like a bit of magic handwaving to have mass increase. Would like a physical confirmation, but would run with the idea until shown false. @EMS – conversion of EM energy to electrical energy isn’t remarkable. If it violates 2LoTD, then it would be remarkable. Jim2 – when I wrote this up a while back I referenceda doctoral thesis that went through the process of building a nantenna array and the measurements from it. If necessary I’ll link to it (on tablet and one little finger now). EM’s link is however good enough (thanks EM). It is obvious it violates 2LoT, though, when you consider it. Solar cells are not as obvious. Give me a wave and a way to rectify it, and you have power. Thermodynamics doesn’t actually come into it – it’s a quantum process. EM – there’s a lot to learn as regards techniques, and I’ve got CoM to violate first. I’ll get onto the proof as soon as I can. Seems to me it could work, though. The big problem ie getting stuck in a belief, and I’ve had my axioms upset a lot recently. What’s the probability that the theory is closer than previous ones? Fred basically spent his whole life working on it, and most of his stuff was accepted because it worked better. Good chance he was right on this, too. Lot’s of words, no proof. Of what do you wish proof? I thought you just wanted proof the gizmo was made… It WAS made. No net DC due to diode limits, but clearly harvesting IR when at IR temperature itself. What are you looking for, one forming frost as it runs a lightbulb? All I need is for someone to point to the paper where an experiment was done, measurements were made, and then from that proof that 2LoT was violated. Jim2 – try https://drum.lib.umd.edu/bitstream/handle/1903/13528/Yesilkoy_umd_0117E_13795.pdf which is a doctoral dissertation from 2012. In this, how to make a nantenna and the measurements of it are detailed. You’ll also find an explanation of how to harvest LWIR from ambient temperatures that carefully avoids mentioning 2LoT. The reason for this lack of mention is exemplified by your reaction here – you simply don’t believe it, and you are definitely in the majority here. One obvious nit-pick is that she used a lamp to test it rather than using ambient energy, but as I mentioned the actual amount of power available is very low (somewhere around a watt per metre squared) and the things are not that easy to make in large areas in a university lab. She needed enough power out to actually measure it and calculate efficiency, and so used a source of known intensity. The question is whether it works at the wavelength of ambient IR, and that is definitely measured. It will therefore produce an electrical output when irradiated with that wavelength. If left in ambient temperatures, therefore, it will definitely produce an electrical output. If it outputs electrical power, then it must cool – energy is conserved. The amount of power it produces will however be very small, and so the temperature drop will also be small and probably unmeasurable – measuring to 0.01°C is only claimed normally by climate scientists, and actually achieving that precision and accuracy in an experiment takes exquisite care and expensive kit. In any case, even mentioning the temperature drop (if it had been measured) would be risky in a doctoral thesis. Connect the nantenna array to a load resistor, and put the assembly in an insulated box. The nantenna array will cool slightly and the resistor will warm slightly, and it will reach an equilibrium where the nantenna is cooler than the box and the resistor is warmer, with energy continually flowing down the wires. If the insulation on the box is perfect, then the box will remain at a temperature between the two, and may have a stable temperature gradient within it (depends on how you set things up). That breaks a few laws, but will nevertheless keep working. The obvious question is, if this was on the verge of mass-manufacture a decade ago, why aren’t we seeing it around? The problem is that the diodes are built using tunnelling barriers of a couple of nm or so, and they break down in around 3 months – this is much the same reason that Flash wears out, but of course we’re up in the THz region on these diodes so the wear-out is a bit quicker. The arrays aren’t cheap to make, they don’t produce much power, and you need to replace them too often. A good enough reason for the lack of mass-production. However, they do exist and they do work, and so while they work in ambient temperatures they will violate 2LoT. Unless you would suggest that they are violating 1LoT (CoE) then the energy they produce comes from somewhere. Note that nantenna arrays are not fringe science, but absolutely mainstream, and people are working to improve the diodes so they can make them economic to produce and to use. As I said, with a wave and the right diode you get unidirectional power out, which we can do work with. The nantenna array is the right diode for LWIR. It will rectify the IR wave into DC electricity out. Note that your TV antenna does much the same thing, at a “temperature” that is barely above absolute zero. If you have an EM wave, an antenna that receives it, and a diode that rectifies it, you get DC. What’s so different about IR? SD – The Yesilkoy setup used a CO2 laser as the IR source. Hardly “harvesting” ambient IR. An IR photon impacts on the nantanna and adds energy. This then gets rectified and turned into DC and leaves. Net zero or small net add of energy due to resistance losses. I’m not seeing either why the nantanna would cool nor why it would violate 2LoT. No different than a radio antenna absorbing a photon of 8 GHz and making it electricity. It isn’t cooling down and it isn’t particularly colder than the transmitter antenna. It’s just resonant with it. Jim2 – I’m sorry you saw that statement as an ad hom. It was not meant to be that, but a statement of reality – you are in the majority. It took me a very long time to see the solution to the paradox, which I’d first seen as a student and bugged me ever since. My explanation has obviously been inadequate, and I know it is hard to change the thinking we grew up with and was accepted as true and, critically, is true in most circumstances so it’s easy to demonstrate the truth. After all, that was my block too. Please try a different thought-experiment. Let’s have two insulated boxes, and place the nantenna array in one and connect it via thin wires to a resistor in the other. In the nantenna box, the nantenna will produce electrical power from the radiation inside the box. The electrical energy passes down the wires to the resistor in the other box, and the resistor thus heats up. The resistor box must thus get hotter. For the nantenna box, energy is leaving it, so it must get cooler. After a while we’ll have an equilibrium in which the nantenna box is cooler and the resistor box is warmer, and you can run a heat engine between the two boxes to deliver energy to a second load somewhere. Now the average temperature of the nantenna box and the resistor box must drop, because energy is leaving that system. This should make it clear that the system violates 2LoT and is also a form of perpetual motion. If we agree that the nantenna array actually puts out electrical energy when it receives an IR wave, then the results will follow. I’m not looking at the magnitude of the result here, but just that it happens at all. If we agree that it will happen, making it work better is an engineering problem. The underlying problem is one of order/disorder. When we shuffle cards or throw dice, it’s accepted that it’s more probable to find a random order than the cards all in sequence or all sixes on the dice. 2LoT is in a way a statement of that tendency to randomness. However, we don’t notice so much that there is also a tendency to order. Throw a ball into the air, and you know you’ll find it later on the ground somewhere. Throw an electron into a magnetic field or electric field and it will move either in a circle of a specific direction or a parabola in one direction – fields are one way of introducing order. Diodes are another way of introducing order – the input state can be in any direction, but the output state is unidirectional but, critically, no work is done in the process. You don’t need to supply power to a diode to make it work (unless you use the old vacuum-tube type, of course). The difference between heat energy (which won’t move something without conversion) and the sort of energy we can do work with is simply the directionality. Heat energy is random directions, and energy from, say, a battery is unidirectional. Converting unidirectional energy to heat energy is easy – heat up a resistor or have some friction in a mechanical device. Going the other way, we generally let the heat move from a volume with high concentration (hotter) to one with a lower concentration (cooler) and thus gain directionality. This gives rise to the Carnot limit and thermodynamic efficiency. However, black-body radiation (basically, a quantum process explained by Einstein) depends only on the absolute temperature of the body, and it will continuously radiate – if not, using a thermal camera would fail. That is EM radiation, and we can rectify it to produce unidirectional energy as long as it continues to radiate, and it will continue to radiate until it reaches absolute zero. That’s what the Stefan-Boltzmann equation tells us. If we have a device that produces order without needing power to do that, then 2LoT does not apply. This is of course a Maxwell’s Daemon. The physical implementation of this disorder => order device is either a good-enough diode or a photoelectric system that takes in photons of any direction and outputs electrical energy in a single direction. There may be other ways I haven’t thought of. The nantenna array is such a device. I hope that this time I’ve got a good enough explanation to make the principles obvious. The assumption to get over is that heat always moves from hotter to colder, because that’s what we experience and can feel it with our fingers. That energy movement is however a random process via, for example, a random walk of gas molecules where energy moves in all directions until it is on average evenly spread around all the volume available to it. The hotter to cooler directionality is an emergent property of a lot of interactions, but is actually a sharing-out of available energy. If you look at any individual transaction transaction between two gas molecules, then it is as likely that energy will move from cooler to hotter, but the hotter ones are of course faster and have higher momentum so the spread happens more in the higher-to-lower energy direction. 2LoT depends on having totally random statistical interactions. By introducing that diode, or a unidirectional bias into the interactions, they will no longer be statistically random, and 2LoT will not apply. Whereas when Sadi Carnot proposed 2LoT and in the early years when it was restated by various people, the technology didn’t exist to produce that bias and all attempts failed, we now have that technology. However, we are still taught that 2LoT is inviolable in all circumstances even though devices exist that do violate it. The explanations of those devices avoids mentioning that they violate 2LoT, and generally go through some dodgy logic to “prove” that they comply with it because they obviously must comply. Again, apologies for appearing to insult you. Not intentional. It took me around 40 years to achieve the resolution of the paradox and another few years to achieve some sort of clarity on what the false assumptions were in the standard theory, so I know it isn’t easy to change what we are taught and are certain is true. The CoM logic was a lot easier by comparison (it’s in textbooks), but may have larger consequences – also means that CoE can be violated and we can (relatively easily) make energy. Fred Alzofon’s theory may give us cheap space travel, too, but again means rejecting a theory (GTR) we thought was complete and true even though there are some indications it’s not quite right. All I can do is to run the experiments that should show whether the ideas work or not. Whether they are actually true is another matter – they may need further refinement even if the experimental results are good. Luckily I have the time and resources to test these ideas out. Jim2 – I got the time to read the paper on radiative thermodynamics you pointed at. There’s a hidden assumption built-in to this that the radiative processes are unbiased – that is, there are no diodes or anisotropies in the processes. As far as it goes, this is a good bit of work, but I’m considering what happens when we deliberately introduce such anisotropies into the system so that energy will go in the direction we choose rather than in random directions. A lot of weight is placed on the time symmetry, so that if you reverse the direction of time you simply see the process happening in reverse and can’t tell whether you are going forward or backward in time since the reverse process also happens in forward time. A diode, however, will AFAIK break the time symmetry. Going forward, the current passes, and going backward, the current is blocked (or at least there’s a large asymmetry), so you can tell when time is going forward. Same for an electron in an electric field and a tennis-ball in a gravitational field – we have a set directionality and rate of change of velocity. Random processes subject to such asymmetry of forces can no longer be described by the statistics of random processes. Others: Jim2 says that the results if I’m right would be astounding, and I agree. However, I think I’m right…. If so, then we’re missing out on being able to recycle the energy we already have because we believe it’s impossible rather than because it is impossible. Most people won’t really discuss this, so here I have an opportunity to improve my explanations of why I think this, and maybe I’ll thus manage to convince a few others by having better explanations. If you are trying to improve your explanations, your 23 July 2018 at 9:02 am explanation is quite good. Also, it was helpful to me that you interspersed your explanations with the underlying assumptions at the points the assumptions came into play. That comment was helpful to me. H.R – thanks for the encouragement. The main problem is that 2LoT is so obviously true and has been so well tested over the last century and a half that it’s hard to see that there are in fact limits to its applicability. Another problem is that actually making a device that proves it to a useful extent is technically difficult. This will get cracked, but needs first the realisation that it is indeed possible and to get the design correct. If I can state the principles clearly enough, then maybe someone better than me can achieve that before I can get over the technical difficulties. Great if that happens – everyone wins except the oil companies…. Diodes are another way of introducing order – the input state can be in any direction, but the output state is unidirectional but, critically, no work is done in the process. Um, but I think they DO have work involved. The reverse voltage vs forward voltage is how they work, but the forward voltage has a barrier. For Germanium it is .2 V and for silicon it is .7 V, meaning that V x Watts of work is done in the forward direction (and shows up as heat in the diode, thus our mounting them on heat sinks). Is that a significant quantity? I don’t know. Of importance is to note that this applies to HEAT, not other processes. We KNOW radiative energy can be “pumped up hill” and disorder turned into order as that is what photosynthesis does. A photon is captured, turned into charge on an atom, and that, then used to move atoms around to make sugars, then on to ATP that powers all of life for us. The key bit is that it does not happen via heat, but via electron pumping. This is presumed not to be a violation of 2LoT as it isn’t a heat flow process. It is a quantum event. I would assert that the nantenna structure is in the same class. Radiative energy gets converted to electron pumping (back and forth in the antenna). What you then do with those electrons is not part of a heat flow problem… so 2LoT does not apply. It’s an electron problem, not heat. Essentially every amplifier pumps energy and order up hill. We do this via tossing away some energy in the process, but IMHO that isn’t a requirement for electrons. Two photons can hit one atom and kick it up to a higher energy state without heat loss. At the atomic level, electrons are quantum objects not heat flow objects. So in the nantenna, photons of radio waves or IR kick some electrons into motion in a wire. IMHO, also a quantum object problem as the photon and the atom they strike are quantum objects. Only once electricity is flowing and wires heating does it become a thermal problem domain. In essence what I’m saying is that QM events don’t require Thermo calculations nor limits. Only once in the land of bulk phenomenon with clusters of atoms do we have a thermo land. pg – Fred Alzofon worked with cyclotrons and high-energy physics, amongst other things. His explanations of his Unified Field Theory show that a lot of other equations (such as Schrödinger, Dirac, Maxwell) dropout of the overall equation, and thus he’s really taken the whole of standard physics and added a couple of twists in order to bring it all together. It’s still a description of what it does rather than what it is, but seems to me a bit closer to reality than your description. As far as I can tell, he spent almost all his waking time over more than 60 years working on it, and was also somewhat of a genius in an Aspy way. I don’t have the maths to understand his equations properly, so I look at what happens and in that your descriptions are often the same. Sever the connection to the outside universe and then gravity and inertia disappear. We’ll just have to see if it works. Reminder. Heat is the internal kinetic energy of a sample, and these samples are all collections of a very large number of atoms. It is *only* the kinetic energy. It is not the total energy. As EM says, ‘thermo’ isn’t necessary here and the energy is already there, it seems to me. What is being done is akin to a phase change. Those shuffle energy between forms and those don’t have to change the kinetic energy. You can bet the big money players have already purchased interests in the new industrial supplies and systems. EM – your “nit-pick” is why normal diodes can’t be used. The work needed to overcome the forward voltage is more than would be harvested. This is why the nantenna uses a MIM diode (metal-insulator-metal) where the insulator is around 2nm thick and the asymmetry forwards/backwards is due to the work-function differences of the two metals and the “resistance” of the barrier is determined by the relative work function of the insulator. Should be able to get to an effective barrier of less than 0.1V. The data I found suggested that a Nb/Nb205/Ti stack should be anisotropic with an effective barrier of “zero”. However, I couldn’t see any anisotropy on it once I’d managed to make one. More experiment needed there. Unfortunately the data on work functions has large errors (various experimenters disagree way beyond their stated error margins) and in any case it depends on both purity and conditions such as crystal face (which I don’t yet have control over). As regards 2LoT only applying to heat, the salient conditions we see in the two-box scenario is that the nantenna box cools down and delivers power, which directly violates 2LoT. The Law doesn’t specify how I’m allowed to try, just that it can’t possibly be done. A nit-pick in return! However, quantum tricks help in breaking it. There is however an almost-mechanical way and maybe even a totally-mechanical way of doing the job. The trick is only getting the energy out of the harvesting system for every minute energy transaction, since if you leave it there in the hope of taking a bigger bite then the reverse-transaction will mostly occur and you get nothing. Incidentally, I’ve found a semiconductor with a band-gap of around 30meV. Main problem there is getting a depletion-layer to exist at room temperature. Again, though, getting this pure enough and the right doping-level is just a tad difficult, and will take me a few years to sort out, probably. Thanks for moving the mis-post. CDQ – point taken, but as I said to EM the Law doesn’t specify the methods I can use. However, once this is got to work, then refrigeration will deliver energy rather than require it, which could be nice for people living in Florida. The heat being the sum of the kinetic energies is important, and note that kinetic energy itself is a scalar. The direction of that energy can be changed by an exchange of momentum, without doing any actual work. A field will change the momentum vector, and if strong enough will counteract the tendency to disorder – this is why a solar panel works. It’s nice to get a decent conversation on this! Thanks all. World wide web based radio direction finding system, allows you to narrow down the source emitter of a radio signal that can be received by a few participating receiving stations. This obviously is limited to reasonably powerful emitters or emitters which are unobstructed to the near by constellation of receiving stations. Often when I was listening to short wave radio I wondered where the actual transmitter I was listening too was located. When listening to Deutsche Welle radio was I actually hearing a transmission from Germany or from a shortwave repeater in Canada or Mexico or perhaps in Louisiana? I was surprised and amused with your “two box” model. Amused because that is exactly what I was thinking of last night :) Great minds! Thought experiments are good guides, but can include only those elements of which we can conceive. That’s why experiments have to be done in the stuff of the universe. It leaves nothing out. What with such a thin junction, I’m wondering if, without a non-ambient power source like the CO2 laser, the thermal noise is enough to swamp any signal picked up by the rectenna. The rectenna and its substrate will be battered by ALL the IR frequencies, not just the 30 Thz one. The paper did mention that chilling close to 0K would be helpful. I meant to add, that any potential generated by the diode would form a field that would tend to neutralize itself from thermally agitated electrons. Well it looks like they have already found the solution to anti-gravity. Imagine a box with perfect mirror lining the inside and a bunch of light in it. With a leaf in the center. Over time the leaf absorbs the photons and turns them into potential energy in sugars. The box gets “colder” as the photons are absorbed and gone. Yet thermo wasn’t violated. KE of photons was turned into chemical PE. I really do think it is critically important to realize non-thermo processes are not limited by thermo laws and thought experiments using them are misleading about thermo. EM – the 2LoT says there is no process that only transfers heat from a cooler body to a warmer body without work needing to be done. Looks like you’ve found another way in which that can be done, though. There are various quantum-type processes that can produce those results, some natural (like photosynthesis) and some needing manufacture. These are normally explained (in compliant terms, of course) as the Sun being so much hotter than the leaf (or whatever) that the heat flow is hotter to colder. There’s some further mental gymnastics when you’re using an LED grow lamp as the source and put the LED in a freezer, where the effective temperature of the LED is used instead in order to be able to claim the Law “energy ALWAYS goes from hotter to colder” as being true. Once we lose that thermo mindset and look instead at kinetic energy being a scalar quantity of energy associated with a momentum vector, then we should be able to design something that changes random-direction energy into unidirectional energy with enough power to be actually useful. MIM diodes are interesting, and the shapes of the anode/cathode can help, too. Draw a diode symbol and make a small gap between the triangular body and the cathode line and you have a diode because the electrical field is more intense at the point than the line, so electrons go more easily out of the point than into it. The intensity of the current in tunnelling however does shift some atoms now and again, so the junction wears out. Probably the most effective way of harvesting LWIR would be by using the photoelectric effect, since the current density through the tunnelling is much lower so wearout won’t be a problem. If I had access to a university fab I could probably get that sorted in half a year or so, but as it is I’ve had to build the kit here and learn to use it, and the measurement kit I could do with (for layer thickness) still needs to be sorted out. CoM is a piece of piss by comparison, so I’ll get that done first. Jim2 – the lamp does make things easier to measure, but nantenna arrays also work with ambient LWIR. I can’t find the MIT article at the moment, but quite a few people have made them. Try https://inhabitat.com/solar-panels-work-at-night/ for one from Idaho National Laboratories (not library – that’s a typo) in 2007. Following the link to INL.gov gives a 404 by now, though. I suspect they couldn’t solve the wearout problem or the expense problem. Meantime, the bare thermal signal is around 30meV, so the various noise sources are a problem. The resonance of the antenna boost the signal to a point where the available diodes will produce a DC output, since they’ll need somewhere around 100mV in order to conduct forward. The system works, but not really well and not economic. I’ve been using the nantenna array as an example of how to get around 2LoT because the data is available and because it’s easier to see that the system will violate 2LoT if set up in the right way. It isn’t however a clever design, but just about adequate. My aim is to produce a device that will produce enough power that it measurably cools down below ambient. If it needs heating to work, it won’t prove the point (too much possibility of thermoelectric effects). 2LoT applies to unbiased thermal process only, and if I can get mainstream ideas changed to recognise its limits and that there are various ways to bypass it then someone will probably design something better than I can, and we’ll start to recycle waste heat rather than blow it away. This could supply a lot of our power needs at a very low cost. Still, someone needs to start that snowball rolling, and at the moment (despite commercial devices being available that do the job at a low output) it is still held to be impossible. It’s not impossible, just technically difficult to start with – but then, so were transistors. While there’s that tag of “absolutely impossible because you can’t violate 2LoT” on it, few people will attempt it., so I need to challenge that mindset as well. The Carnot limit only applies to unbiased thermal processes, and by using quantum processes (or other tricks) we can bypass it. Simon, I have to admire your grasp of the problem & persistence. Your forward thinking of “it may take a few years to develop” is astonishing. I wish you all the best in your quest for what is basically “energy from nothing” by normal energy standards. ACO – thanks. It seems that the general consensus here is that 2LoT is true for purely thermal systems but that there are ways of getting around it where it doesn’t apply. If more people realised that, then research would quickly produce better ways than I’ve thought of. This is because I need to think of things I can actually make without spending a lot on the kit needed. The benefits are pretty obvious – energy is available 24/7 and the device can be buried out of the weather, so each house can have its own power (and each car). No fuel needed, either, since it’s recycling energy from the environmental heat and returning that energy as heat to the environment. Sounds utopian, but it only needs a change of viewpoint to enable it, providing the logic is correct. Improving the arguments may help to convince somebody with a large budget to test it, but I expect that I’ll need to prove it with a working device before it will be more generally accepted. It sounds far too much like a “something for nothing” scam, after all. I’ve ripped enough of those to shreds over the years while covering the Free Energy field. Back in the late 1980s I was asked to create a power supply to drive a RS-232 link from a Commodore 64 to a 8086 cash register. 8-) The young man was writing a Forth 80xx kernel and needed the link to test his work. The Commodore power supply which did not have any 12v, had a single wire that demonstrated 9vac that had no use in the Commodore. So that was my power supply point for the link driver. We needed +12vdc -0- 12vdc-. With the use of Diodes, capacitors and voltage regulators I created a set of flywheel circuits to power the IOdriver required, from that single 9vac wire…pg. FWIW, I dumped BCBS healthcare today and went with a Cigna attached PPO via US health group. Better coverage and less than half the price. BCBS has been gouging me with increases since the ACA started. I’ll take a look in a few… (Just got the 5% battery warning on the laptop…). FWIW, I’m running a SPY long / short oscillator. No clear results yet. Need a few more weeks of cycles to know if my selected indicators are working reliably for that tactic. Some of those concerns involve aesthetics. Many people how live in the area or use the waters below the dam for sporting and recreational purposes are not thrilled about 20 miles of large diameter pipes cluttering up their view. And no politics in the American southwest are more fraught with conflict and danger than who gets to use the water in the lower Colorado River. Without that water, Phoenix and Los Angeles would shrivel back into desert communities. Farmers in both states are utterly dependent on water from the river for irrigation. LA officials will be pressed hard to prove their plan will not reduce the amount of available water. Thanks EM. I was hesitant to copy the whole comment. As a constant frustration is links to good stuff that go away, pasting actual quoted text here in what I think of as my “notebook”, to preserve it, is one of my standard behaviours, and perfectly ordinary. So no worries on that. Just to be clear, I didn’t fear getting banned. I wasn’t sure about copyright issues. Ah, generally unless there’s a (c) on it, or an explicit calling out of copyright, it’s free to copy. Comments on sites rarely have a (c) and are not the property of the article writer, so pretty much ought to be “fair use”. Especially if a link to the original is included. Beyond that, even if copyright is claimed, you still have “fair use” for purposes of education and editorial comment… so if in real doubt, “decorate” your copy/paste with a statement that it is “instructional about FOO” or “I think FOO is good in this but BAR has this issue” and you are pretty much home free. At least under US Law, and as this is a US based blog, that’s what applies. Pretty much everyone is happy with a copy / paste as long as link is included (i.e. free advertising for their site) and you are not copying everything and claiming it is your creation. The video I posted at jim2 says:27 July 2018 at 5:55 pm is a series by Cohl Furey, whom I thought was a physicist. Oh well. Her presentation made start to dig into octonions and quaterions. Unfortunately, there is no closed captioning so I have no idea what he had to say. I cannot hear videos even with headphones. What I did note is that all of his gear seemed to be reasonably affordable to my eye. Anyhow, those who can hear the video can skim through and see if he is onto something or just on something. I watched the demo of the first machine. He seems to be making a lot out of calculating the efficiency of his generator. While that probably entails complex numbers due to phase shift, he could still just show the numbers and what he calculates it to be. I don’t have the time or patience to watch the rest. But I don’t want to just watch spinning wheels with no calculations to back it up. @jim2: Yeah, I kept jumping through the 47 minutes to see if there were any graphics or explanations/calculations behind the work. I didn’t see any. So thanks for checking it out. Maybe some other brave soul will skip to the middle and watch a few minutes to see if he goes anywhere. If not. no point checking out the end. @p.g. : As I mentioned in my introductory post, I couldn’t tell if the guy was onto something or on something due to the lack of any explanatory graphics. Well, lesson learned. I won’t post something like that again unless I’m pretty sure there is a pony in all the poop. Thanks, p.g. H.R. – Murray and Babcock have been talking about knowing Tesla’s secrets for years. Their demonstrations show what are basically LC resonant circuits, where they measure the AC voltage and AC current separately and multiply them together to say how much power they’ve now got. These are of course VARs or reactive power, which don’t translate into real power 1:1 since the instantaneous power is the instantaneous volts times amps, and so with AC the phase relationship is somewhat critical (and they don’t measure that). What Babcock and Murray are doing is thus saying “look at what the meters read” and not at how fast it can make a cup of tea. They have fooled a lot of people who really ought to know better. About the only valid test of any “free energy” idea is whether it can run itself and a load without being connected to any standard power source. All current ideas fail that test. It’s not that it is actually impossible to do that, but that the principles they are applying are simply wrong. I’ve been part of a sceptical Free Energy site for over 5 years, so I needed to analyse a lot of them and show where the ideas were wrong – that’s really why I worked out the principles that logically ought to actually work. For these, the anomalies are well-known, but very small in normal situations. The question is whether we can make the anomalies big-enough to be useful, since a few microwatts won’t run many things and won’t deliver a cup of tea. The point about all the historical Free Energy ideas is that they tell us what doesn’t work. Enough people have tried them to be certain they fail to deliver. As such, no point in trying the same principles, but we need to do something significantly different. There was math in that video? One of my young English teachers in high school wore mini-skirts. Sometimes her preposition was left dangling. Finally finished the Tesla motor video. (boring enough to take 2 segments with sleep in between). Looks to me like the guy knows about VA and power factor but doesn’t fully understand what it means. Often he gives an Amps or a Volts reading, but not the other nor the phase, and talks about power… No Can Do. My guess is that either he’s a good machinist, or he knows one ( from the look of the custom metalwork) who was introduced to power factor / VA and then made the big “leap” that this had something to do with Tesla and has now built all sorts of devices to “demonstrate” this available “power” that are really just shifting the reactance of his motors as resistors (light bulbs) are put in or taken out, of the circuits; then Volts or Amp shift and he thinks this means a great deal when it mostly just means a phase shift happened and/or reactance is different. At no time does he really explain what he thinks he’s found, but on a few occasions he marvels over a big change in one factor (A V or W) when he’s added / removed some load or light. While not bothering to track phase changes of power nor actual net VA or net W and comparing them. I suspect he’s just fiddling reactance and not “getting it”. FWIW, I occasionally like to watch this kind of video just to figure out where the guy went off the rails or is missing it. IMHO this guy has some interesting bits (that elliptical rotor is interesting) and might even be able to add something to motor efficiency or smoothness of operation; but he isn’t getting free power from anywhere. Just discovering that with V and A way out of phase, you can get a big jump in one or the other without a lot of W change. See? I told you he made an amazing discovery; The Cure for Insomnia. Everybody can throw away their Ambien, now. @p.g. – I’m rather excited about seeing the Coral Castle and museum. It looks like it will be a 5-hr drive from where we will be staying, so it’s either going to be a long day trip or we’ll make it an over-nighter. Make it an overnighter. A 5 hour drive is a 10 hour round trip. Add in 6 hours at the museum & lunch and you are way worn out. @E.M. Would have to board the dogs for an over-nighter. We found a place that we left the dogs for a day when we went on a day trip and the dogs had a ball. I think they could handle one night in a strange place. The dogs have never spent a night away from home in the ten years we’ve had them. That was one of our worries when we bought the trailer. We took a couple of weeks conditioning them to the trailer. We parked it in the side yard while I did some provisioning and modifications. We’d sit out with the dogs in the trailer and read, surf the net, or watch TV. So now they have two homes. Ha! Just talked myself into something. I think we’ll leave them at the doggie daycare several times while we go on day trips. They should get used to the place and then I can schedule the over-nighter later in our Florida stay. *Sigh* Pets are not without their maintenance issues. Hang on a mo… you are talking trailers then boarding for an over night trip. No way to just haul the trailer for the overnight and stay at a local park that night? Or is the trailer not in play this round? I am astounded it took this long to get such a judgement against Civil Asset Forfeiture. It is about time the put the breaks on this policing for profit. Long story, but single night stays are very hard on me. My wife has physical limitations from her stroke, so she is pretty much limited to spotting me when I align the hitches. The hookup and disconnect takes a bit of time. Easier to just drive and stay at a motel. Also, we’re probably already out of luck booking a campsite anywhere near the Keys. We booked our three months for this year as we were leaving last February and there were only three spots left. The bright side is we can use the Coral Castle trip to check out a few spots in the Keys for 2019/2020. We’ve wanted to stay in the Keys and you really need to book a year in advance. Last year, we didn’t book Florida until October and we had to switch campgrounds just to stay for January and February. No one had two months in the Clearwater/St. Petersburg area. If you want a sweet little investment, develop an RV park in Florida or buy one. There’s a shortage of good spots and it’s only going to get worse as more boomers retire. I don’t watch much TV aside from football, hockey, some news, science, SyFy, history etc.. The last few days I decided to scan the bans. There is a tremendous amout of garbage out there that I was not even aware existed. No wonder why so may people are seeing distortions in our society. They are on TV constantly. That said, and if that wasn’t bad enough on the social front, I lasted about 2 minutes on my 600 pound life, and Dr. Pimple Popper truely grossed me out. I will never be able to eat a pierogi again! I’ve pretty much retreated to things where I can choose the content for TV. It used to be a large round of news and some series on Netflix; then I found Netflix becoming formulaic in the stuff they develop and cutting back on things I liked. Now I’m basically up for one pass through Reuters (but skipping about 3/4 of the “stories” after the headline tells me it isn’t news but a “Get Trump!” piece) and one from ABC / NBC / CBS news but where for them, too, it’s pick maybe 3 stories out of the 20 or so they have in the menu. Al Jazeera is down to once a week, maybe. France24 and Sky get a watch a couple of times a week, but I bail on repetition and / or “Get Trump” stories and some other propaganda flags. RT gets maybe 3 to 4 check-ins a week, but even there it isn’t all that informative lately (World Cup dominating too much, and the Trump stories again, though from a different POV). All in all, I’m maybe up for 30 minutes to at most 1 hour / day where prior it was more like 3 to 4 hours (often while doing other things as background filler). For entertainment shows, I mostly just watch something the spouse puts on if I’m not doing something else at the time. That tends to a limited set. LOTS of Star Trek, Blue Bloods, and a set of Murder Mysteries (often British or Australian). More than I can typically take, really. After a couple of hours, I’m in the other room. (One of the hours being “from the kitchen” as I make dinner… so probably doesn’t count). I likely watch as much “YouTube” like stuff (now more from BitChute & others) as I do real TV these days. It’s just more interesting… Sad that. Amateurs making short story videos and DIY News shows beating out the “professionals” in my opinion. I understand. Helped a friend pack up his trailer once. It was a several hour affair. Though he had been in that park for about a year, so I’d figured some large part of it was that… Guess not. At Last! That was just so blatantly evil and illegal. Cops stealing stuff at the point of a gun then daring you to get it back. Wonder if now the various governments will get to return all the stuff the police stole under color of authority. If doing it was unconstitutional, seems to me “restitution” is in order. @Larry & E.M – A few years back, some news came on drive-time radio. The story was that a judge was not amused by a sheriff who arrested a man (later acquitted or didn’t go to trial) and had confiscated a few $1,000 dollar bills during the arrest. When the man was released, the sheriff gave him his money back… in $100s and $20s. Already, $1,000-dollar bills were collectible and worth well more than a thousand dollars. I can’t recall the exact details – criminal charges against the sheriff, sheriff dismissed, I dunno – but the guy had sued and the judge agreed that the man should have his property returned to him in the form of $1,000-dollar bills. YAY JUDGE! whoever he was. It is constitutionally wrong to appropriate any U.S. citizen’s property until it is forfeit by trial and all appeals have been exhausted. “Confiscate first and beg for its return” laws should be overturned by the Supreme Court. I hope that this decision will eventually trigger a decision by the Supreme Court on the whole concept of Civil Asset Forfeiture. When they first passed the law I was (more naive and trusting of government ) and assumed that they would require a finding of guilt to permanently seize even a drug dealers money, cars and yachts. Needless to say I was overly trusting and underestimate the willingness of even law enforcement to abuse their power and essentially engage in extortion due to the profit motive inherent in the system. This in plain language states the presumed elitist attitude that drives globalism. In fairness I can see the deluded motivation (assuming it is benign) to prevent future world wars as this would date the early pledges of discretion just shortly after WWII and during the Korean War. It clearly expresses the “we know better than you how you should live” attitude we all have assumed to be a driving motivation behind the globalist movement, but like global warming it is surely just a camouflage front for totalitarianism to put a happy face on it until it is too late to stop it and the public realizes they have become serfs to a new oligarchy. OH! We took a couple of pictures of our trailer at the Florida RV park. When I locate them, I’ll post. It is a nice place to stay. There are a lot of parks that aren’t so nice; adequate, but no relaxing aesthetics. Hmmm it appears to have been a quote from one of David Rockefeller’s books. Of my last car purchases, about 1/2 have been all cash. Used cars, so only low $Thousands. I’ve been known to put a couple of $Thousand in my pocket for trips cross country. Too many times middle of nowhere and the ATM doesn’t work, or the Credit Card gets blocked. Driving from the San Francisco area to San Luis Obispo for a kids graduation, about 400? miles one way; American Express blocked my card on the return 1/2 about one tank from home. I swapped to the Visa and continued on. Later in the week, I called them to ask what was up. I was “suspiciously” using my card out of town and at gas stations…. This from a card touted as “for travel”… After a couple of more such, I canceled my two AMEX cards. Green business and gold personal. I do NOT need to call them to tell them every time I’m driving more than 500 miles. On another occasion in Florida, the Citi card was blocked. Something about being used in a “suspicious” way. IIRC it was something about being used in Florida and California. I had flown home for the weekend… so Florida, Cali, Florida in 3 days was not acceptable. Seems air travel that was not booked on their card confuses them… That card, too, is now history. Yeah, the whole “confiscate cash” thing is just so wrong. In general, those folks trying to run the world do not see themselves as doing bad. Even a Stalin or a Hitler thinks they are doing something good. He was just solving “the Jewish problem”, in his own mind. Similarly, Bill Clinton talked about “Doing well by doing good” – not crass graft and corruption to control others.